﻿U.S. Fish and Wildlife Service has reached an agreement to settle ongoing litigation to reinstate Endangered Species Act (ESA) protections for gray wolves in the northern Rockies. 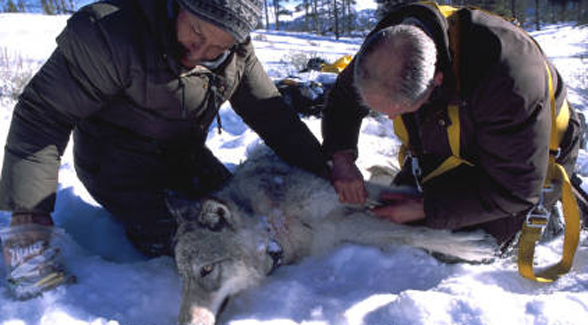 If approved by the courts, the settlement offers Fish & Wildlife a path to return management of the recovered wolf populations in Idaho and Montana to those states while it considers options for delisting gray wolves across the region. “For too long, management of wolves in this country has been caught up in controversy and litigation instead of rooted in science where it belongs. This proposed settlement provides a path forward to recognize the successful recovery of the gray wolf in the northern Rocky Mountains and to return its management to States and Tribes,” said Interior Department Deputy Secretary David Hayes. Read the announcement HERE.